As for preparations of Hong Kong Disneyland trip, I also arranged Apps, Ground transportations and Restaurants. After I got it, I accessed it almost everday to get real time waiting time of attractions. They were shorter than Tokyo Disneyland (10-50 min). 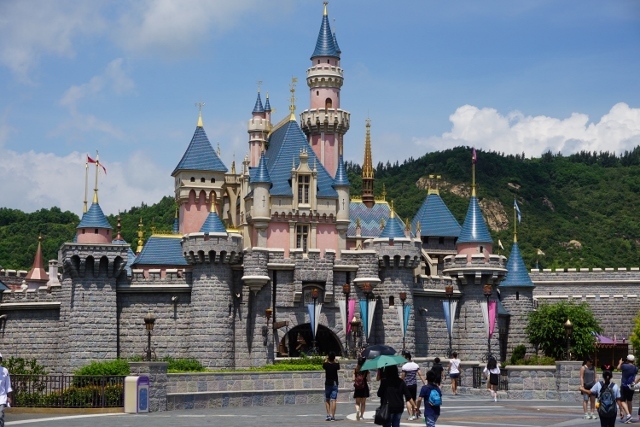 The story goes that Hong Kong Disneyland is not so crowded, and I felt it might be true. I knew there was trains from airport, but we decided to take taxi because we were adult enough! It cost 130 HKD only. It was cost effective. We planed to take MTR to visit Hong Kong city (around Central station) on day 3. From the city to Airport, Airport Express. Our preference was Chef Mickey in Disney's Hollywood Hotel, but we didn't make a reservation because it won't be full based on what I looked up. We were ready for trip!